According to Indian philosophy, the mind (which is a part of Brahma) is the creator of this world. Modern science echoes spiritualism by saying that the mind is the central fact and universal reality of the world. All of man's knowledge, feelings and his entire understanding become possible only through his mind. That is why modern Biology says that in the absence of this mind, there is no psycho-social existence of the world. "Mind cannot be constructed by itself. The society means someone else is a must to constitute the mind. Family, society, religion, education – it is always someone else who constructs our mind by sending thoughts through language.What Professor J Huxley has called it in Evolution after Darwin is “psycho-somatic and psycho-social development.” He has said that process becomes possible in the Psycho-Social environment created by the help of psycho-somatic mechanism at the human plane only. Lincoln Barnett in The Universe & Dr Einstein says “Man himself is the biggest mystery, he could not understand the vast unknown universe, in which he has been thrown because he does not know himself." It means self-knowledge of man becomes his salvation. According to Emerson, this freedom of mind is the object and goal of evolution. A thorough knowledge of the mechanism of mind is a must for us to evolve. And that is the desired object of this book. The author is a senior member of the Chhattisgarh State Finance Service and is currently posted as the Deputy Director Finance at the directorate of Public Relation, Chhattisgarh. A tiny story of five lines aroused deep curiosity about the brain, mind and heart of the author. This authentic curiosity gave birth to some questions in the course of time. What is mind? How does it create? How does it function? And most importantly, how one can transcend it? These questions finally converted the "Potential State" of this book into a "Real Three Dimensional State." This book can be divided clearly into two parts. 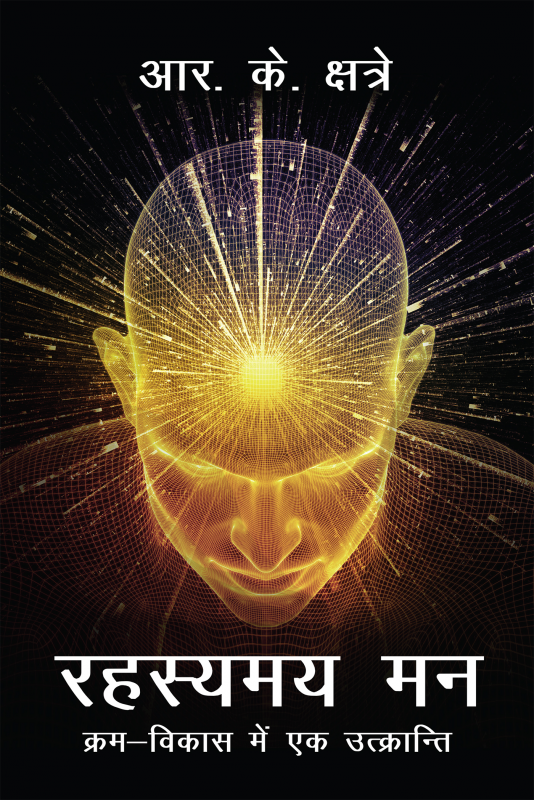 Its first part is based on spiritualism to explain Indian Philosophy and the second part is based on modern science. Twill be the main point of difference between this book and other books.